​Turkey or goose? Sprouts or no sprouts? Tesco’s campaign sparks a national debate about how the nation does Christmas. 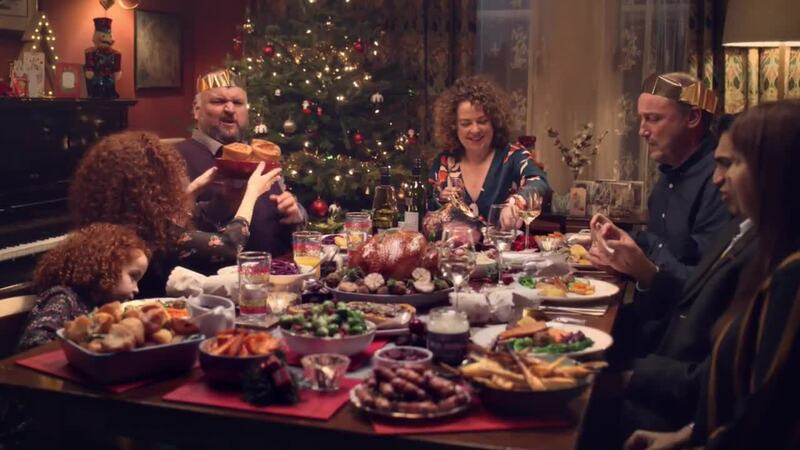 The campaign ‘However you do Christmas, everyone’s welcome at Tesco' celebrates the many debates, rituals and routines that make Christmas what it is for people up and down the country. Building on the success of last year’s adverts, the new campaign shows a number of families and friends uniting and embarking on the most established of seasonal get-togethers – and debating our traditional differences. Each point of view is delivered from a different person in a different household, making up one continuous debate. Whether you’re in the 66% of people who go for sprouts, the 38% who love a Yorkshire pud or maybe you’re in the 8% who add ketchup to their Christmas Dinner. The campaign shows that however you do Christmas, Tesco has got it covered with quality food and drink throughout the season, whatever your budget. Bartle Bogle Hegarty is one of the world’s most famous creative advertising agencies. Founded in 1982 by John Bartle, Nigel Bogle and John Hegarty, the agency has produced campaigns for many of the world’s most illustrious brands. Today, BBH London is a set of complementary creative specialisms, working together to unlock the power of difference for our clients. BBH is part of Publicis Groupe and has offices in London, New York, Singapore, Shanghai, Mumbai, LA and Stockholm and employs 1000 staff worldwide.